Remember decorating your college dorm room, putting posters straight on the wall with a slice of scotch tape? Those were simpler times. Now we have to use frames, not just in putting art on walls, but definitely in making our lovely building into a sound structure that will stand for (what we hope to be) many centuries. And our frame is nearly done! Next up is sheet rock! And paint! Next week, our back of house refrigeration will be done, which is good news for all the fresh, local goodness we are going to carry. More terrific news: our entrance and exit was installed, and our loading area door! The twofold benefit here is we will be able to load both customers and products into the store with ease. With some floor polish and the delivery of more grocery equipment, what was once an empty structure is now starting to really look like a store. 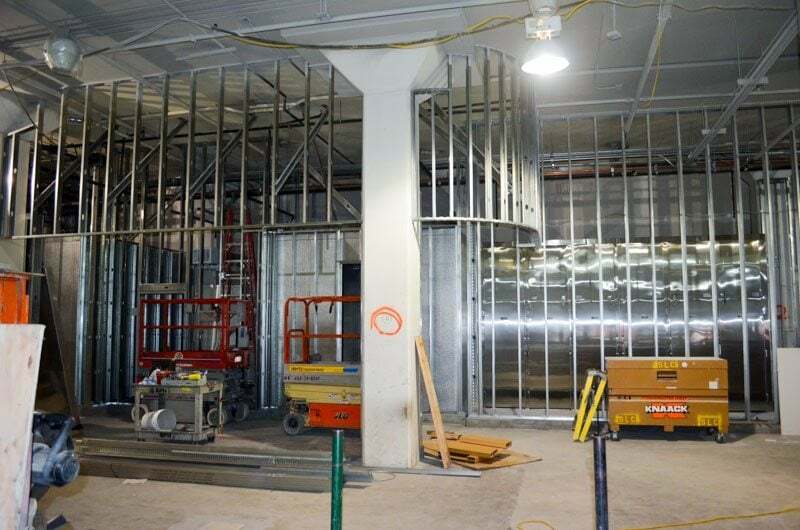 As you can see in the pictures, each department is really taking shape. We can’t wait to dispense granola from our bulk aisles straight into your reusable plastic bags, San Francisco. Only a little bit longer!